Curtis Main CAN be recalled by Doncaster Rovers to avoid a ludicrous situation in the League One relegation battle. Should he play for Oldham at Sheffield United this weekend, Main could potentially help the Latics escape the bottom four at the expense of his parent club. 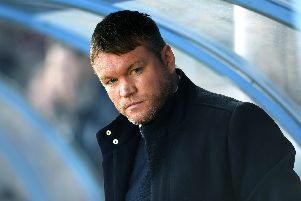 With games running out it is a bizarre situation, especially for the player himself, and one likely to be nipped in the bud by Darren Ferguson. Rovers have confirmed they can re-call Main, who joined Oldham for the rest of the season last month, after an initial 28-day period - which ends on Sunday. Main has failed to hit the net in five appearances for the Latics but is also yet to feature on a losing side. Oldham are three points behind Rovers but have two games in hand on them.